As your HVAC unit ages, its efficiency declines dramatically, causing it to become noisy and require repairs more often. 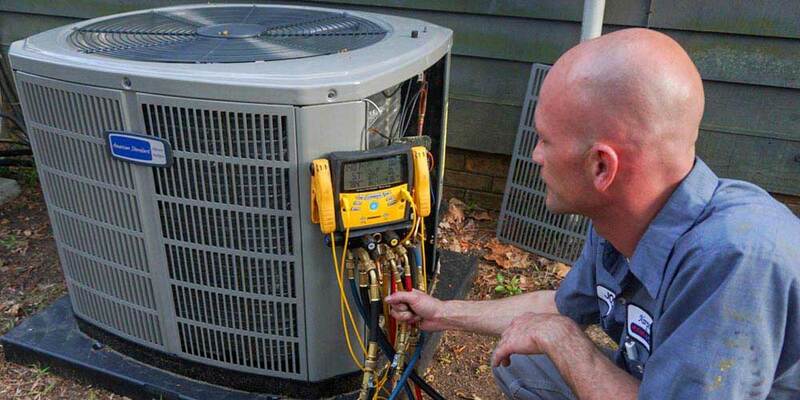 If you are currently spending money on high utility bills and frequent repairs for a unit that is older than seven years, it may be time to consider replacing it with a new, more efficient HVAC unit. We offer the best name brands in the business like American Standard, Rheem, Goodman and our team can install your new heating and cooling system in no time at all so that we can return you to your relaxing day. We will register your new unit to receive your 5-year parts warranty and then we offer an additional 5-year parts warranty, so call us today to schedule a free consultation with one of skilled technicians! And when you buy, receive a new installation of equipment and or duct systems, you are entitled to a rebate according to your Seer Rating.